Senior year is winding down and it’s time to start thinking of ways to spoil your sorority grads. We know you’ll miss them and we know that you want your alumna to be involved with your chapter for life. 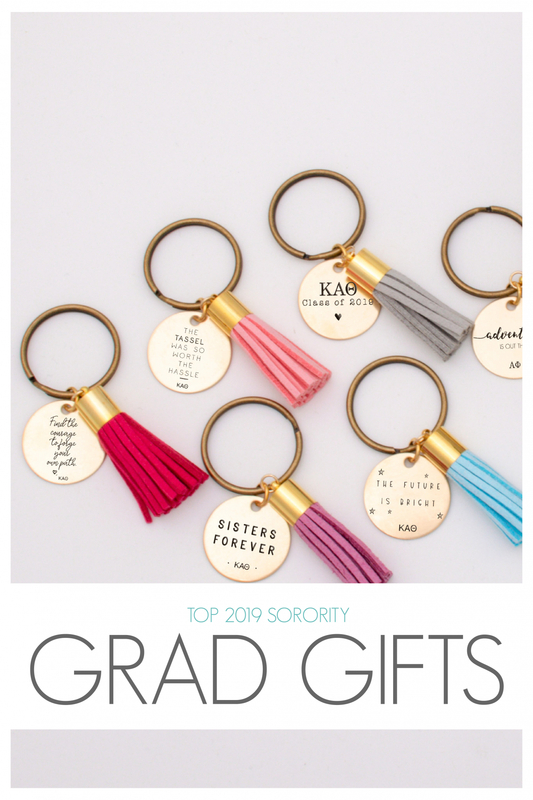 We also know your chapters are on a tight budget, so we came up with our favorite graduation group gifts featuring our favorite ideas from chapters who have already ordered their custom grad gifts from us. Email sisters@alistgreek.com to learn about our group order discounts. For chapter group orders we also include 1 free sorority hair tie for each woman and free shipping. Since most of our collection is handmade by our team in our studio in Orange County, CA we can often develop a custom piece upon request to fit any budget. 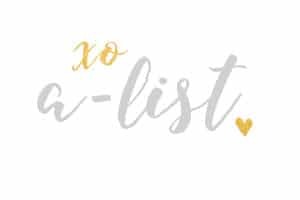 So if you can’t find something in our collection that works for your chapter, please email us at sisters@alistgreek.com and we can develop something that will fit any size budget. 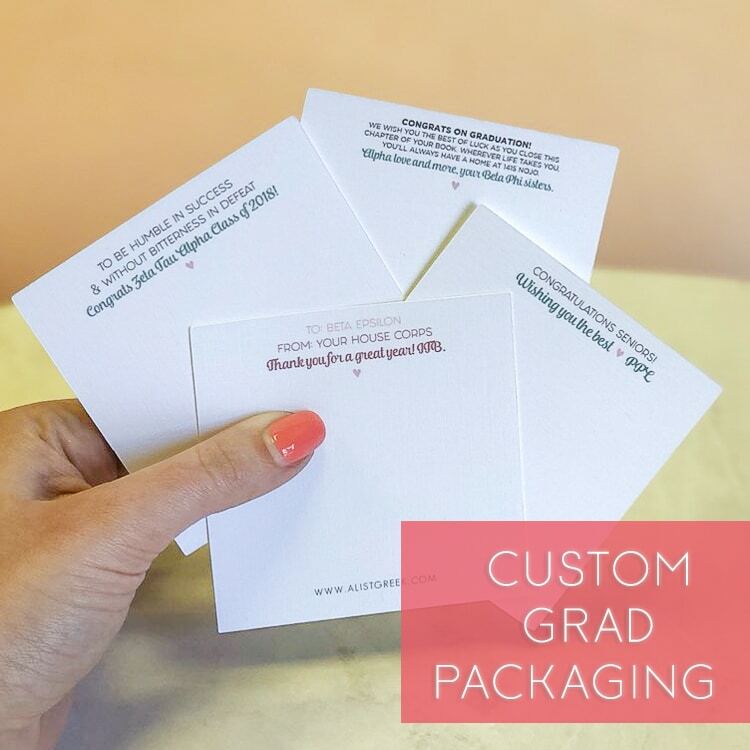 Plus, we can work with you on a custom packaging cards with personalized messages to your seniors. That’s it! Those are our favorite graduation gift ideas for 2017! We’d love to hear about your chapter’s traditions and/or design something different and personal just for your grads! See these and other grad gift ideas in our new 2019 Grad Collection. This entry was posted in Members Only: A blog for chics and Greeks alike. and tagged grad gifts, group orders.